Color your campaign by employing a custom your friend the sheriff coloring book! 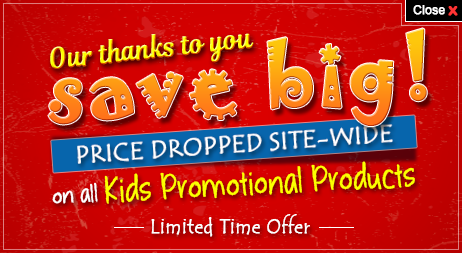 This coloring book makes a perfect giveaway for businesses which wish to position themselves in kid’s niche business. Logoed promotional your friend the sheriff coloring book can be sought in mix –match designs and minimum ordering quantity set is 250 pieces. Each book carries 8 pages, which are glued to protect the tender hands using them. It is created using 50 lb paper and can be sought for bulk gifting during promotional events. 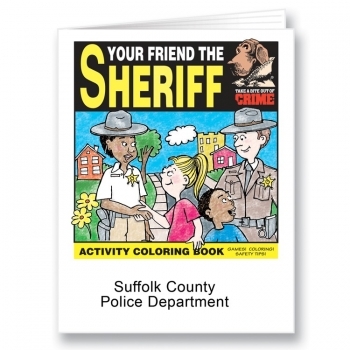 A personalized your friend the sheriff coloring book makes a good giveaway for restaurants, play station, hospitals, kids clinics, play schools, theme parks, and mermaid destinations etc. Product Size: 8 1/2" x 11". Imprint Area: 7 1/2" x 2". Available in 2 versions.